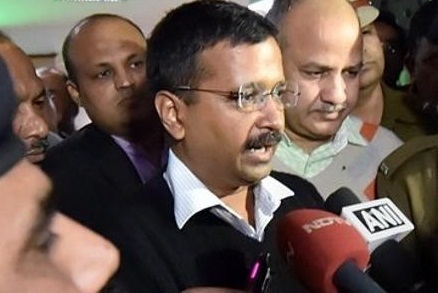 New Delhi: On Delhi Chief Minister Arvind Kejriwal seeking public funds to meet the legal expenses in the defamation case filed against him by Finance Minister Arun Jaitley, the Delhi government has underscored that the Chief Minister’s remarks against Jaitley were in his capacity as the Chief Minister. The defamation case notwithstanding, there is hardly any room for debate on whether or not Kejriwal’s observations and public utterances on the Delhi & District Cricket Association (DDCA) scam were in his capacity as Delhi Chief Minister as these were based on the findings of a report submitted by a committee set up by the Government of National Capital and Territory of Delhi (GNCTD) to probe allegations of fraud and financial irregularities against DDCA. In December 2015, Aam Admi Party had sought Finance Minister Arun Jaitley’s resignation accusing him of involvement in the Delhi and District Cricket Association (DDCA) scam. The AAP leaders had levelled serious charges of corruption against Jaitley, alleging he “had been siphoning off funds” for years as the DDCA chairman. The principal charge leveled against Jaitley by AAP was that a budget of Rs 24 crore had been approved to construct a cricket stadium but Rs 114 crore was spent on it. AAP had gone into the attack mode against Jaitley in December 2015, after there was a raid by the CBI on the office of Delhi Chief Minister Arvind Kejriwal and the grilling of his principal secretary Rajendra Kumar by the central investigating agency. After the CBI raid, Kejriwal had gone ahead with a series of tweets against the Finance Minister. He wrote: “Very serious allegations against him. Why is he running away from investigations? The Delhi chief minister had also accused the Central Bureau of Investigation (CBI) saying his office had been raided for a file linked with Jaitley. He also claimed that the charges against him were very serious and the amounts involved were huge. Kejriwal had even demanded that Jaitley should resign or be removed to enable a fair probe. Jaitley had responded then by lashing out and accusing Kejriwal of indulging in “false propaganda”. He also accused Kejriwal of focusing attention on him to defend an officer under (CBI) investigation. 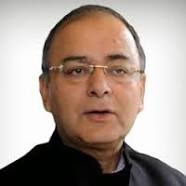 The finance minister had also drawn attention to the investigation conducted in the matter by the Serious Fraud Investigation Office (SFIO) under the Union Ministry of Corporate Affairs, at the initiative of the previous Congress led UPA government. He had emphatically stated that according to the SFIO report there was “no fraud” and as DDCA president, he was “like a non-executive chairman”. At this juncture the Congress party had lapped up the AAP demand and sought Jaitley’s resignation in December 2015. The Congress also had demanded that there be a JPC/ Court Monitored SIT probe into corruption charges against Jaitley. Earlier, the UPA Government led by the Congress Party had ordered a probe into the dealings of DDCA by the Serious Fraud Investigation Office (SFIO) as also inquiries into the affairs of DDCA’s parent affiliating body, the BCCI by various investigating agencies viz. the Enforcement Directorate, the Income Tax Department and the Service Tax Department, and the Government then as well as the current Government had informed the Parliament accordingly. The SFIO as well as the other agencies found blatant and criminal and intentional violation of various sections and provisions of the Companies Act, the Income Tax Act and the National Sports Code. The Government of National Capital and Territory of Delhi had also set up a Committee to look into the DDCA scam on November 14, 2015 and it had submitted its report implicating DDCA on November 17, 2015. In this backdrop December 2015, Jaitley had filed the criminal defamation complaint against Kejriwal and a few AAP leaders including Kumar Vishwas, Ashutosh, Raghav Chadha, Sanjay Singh and Deepak Bajpai seeking their prosecution under the anti-defamation law. In December 2016, Member of Parliament and senior Supreme Court lawyer Ram Jethmalani, who has been appearing in the defamation case on behalf of Kejriwal had charged Rs 1 crore as fees and an additional Rs 22 lakh for each appearance in court. In the meanwhile, as per reports, Deputy Chief Minister of Delhi Manish Sisodia wrote to the Lt Governor seeking approval for Rs 3.86 crore to cover expenses incurred by the Delhi Chief Minister in the defamation case. The LG’s office referred the matter to the Additional Solicitor General. Former Cricketer Kirti Azad had earlier taken the lead in raising the issue of rampant corruption in DDCA during the tenure of Jaitley, who was the President of DDCA for several years till December 2013. An audit report of December 2014 has exposed that money in crores had been paid by DDCA for construction and maintenance works in cash without approval of the executive committee. The mandatory requirement of inviting tenders also had not been followed.